Hello there my dear readers, how have you been? It’s officially summer on this side of the Earth and it can’t be helped mercury is rising. I’m wrapping up a lot of backlogs before we jump out of town for a family vacation in May. 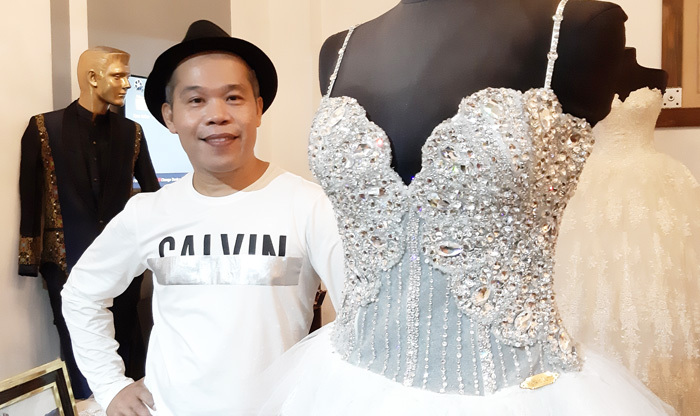 Meantime, my friend Sherwin Darrel, after a long designing stint in Saudi Arabia finally settled home for good and decided to open a couture shop of his own here in Davao. 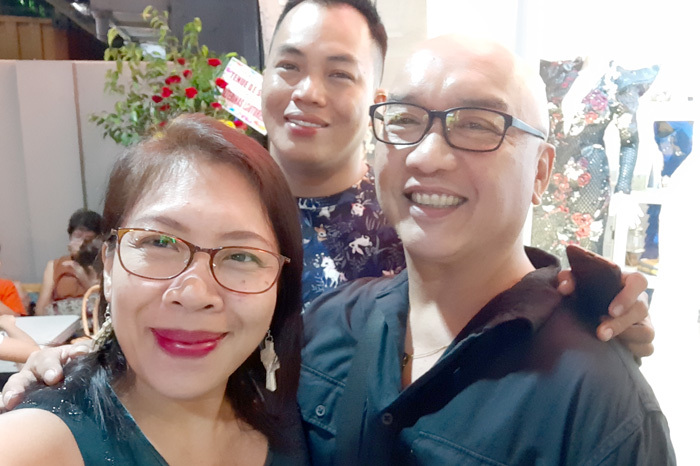 So on Friday, I went with my husband to attend the blessing of his shop called, Tenue de Soiree by Sherwin Darrel at the ground level of North Zen Hotel along Sobrecary Street here in the city. 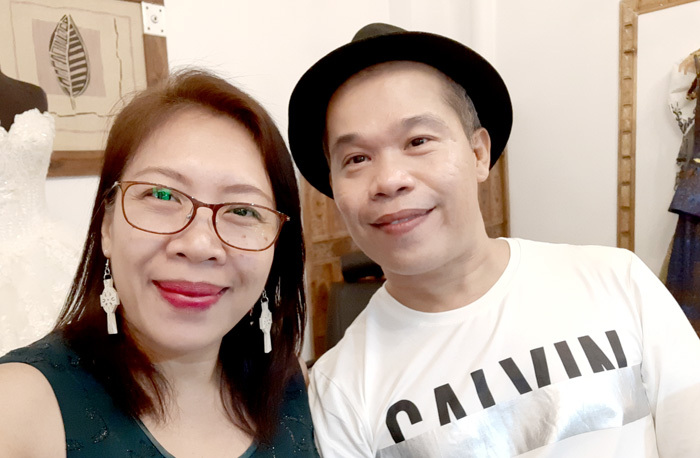 With Sherwin Darrel, Congratulations, Noy! 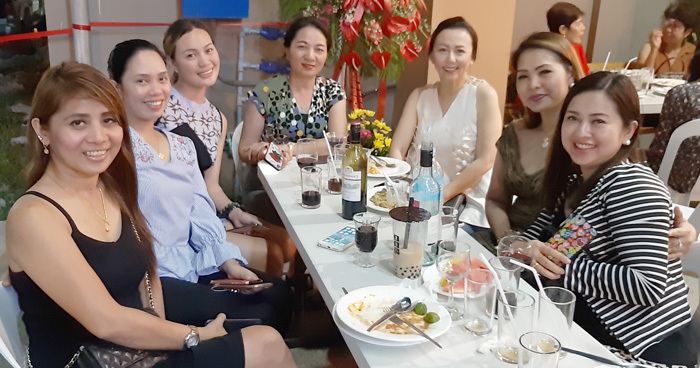 Sherwin opened two shops in the country simultaneously, one in Makati area in Metro Manila and one here in Davao City. The Makati shop will handle the fabrication of every couture piece that’ll be designed by Sherwin as they have extra manpower to work on it. 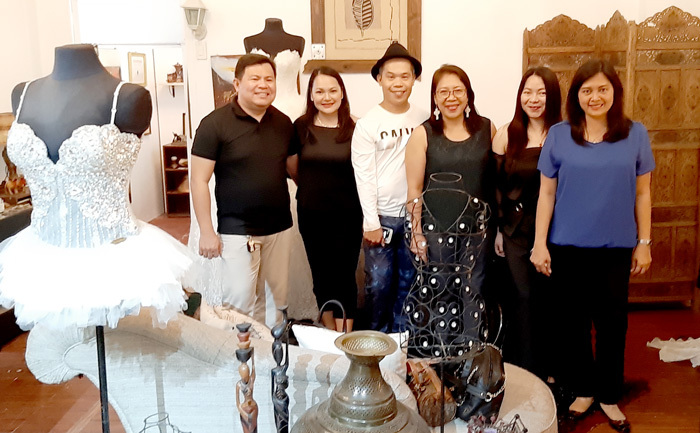 The Davao shop, however, will showcase his creation and design consultation will be on an appointment basis. Sherwin has come a long way in this business and in his career. 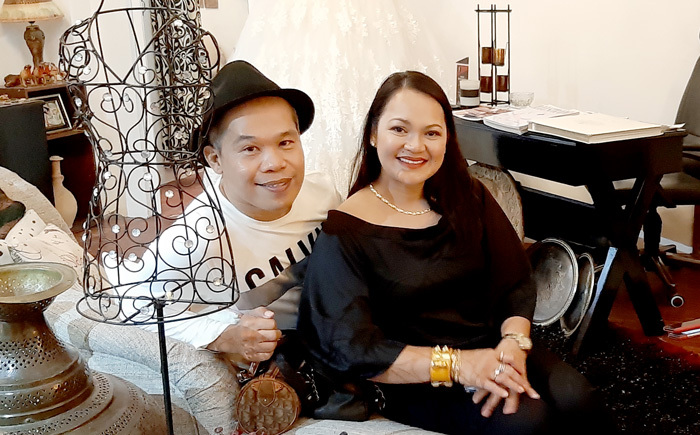 He started his own couture shop called, Traje de Boda years back here in Davao with the support of his good friend, Melody Alabastro. But because of the stiff competition in this field and the lure of a better opportunity outside of the country, he decided to leave for Guangzhou, China and design dresses and gowns for mass assembly line production. Eventually, he was offered to man a couture house named Emperatura in Alkhobar, Saudi Arabia in which he took the challenge and consequently move to Saudi Arabia soon after. Sherwin’s stint as a designer in Saudi earned him great respect not only with the number of royal elite clients of the kingdom but also clients from other neighboring countries like Bahrain, Kuwait, Dubai and etc..
One of the highlights of his career in Saudi was holding a fashion show sponsored by Sheikha Mai bint Mohammed Al Khalifa, the princess consort of Bahrain showcasing his edgy bridal gown designs along with designers from Russia, Paris, Bulgaria, Dubai, etc. and Rosa Clara of Barcelona, Spain known for her dreamy and lacy romantic bridal gowns. 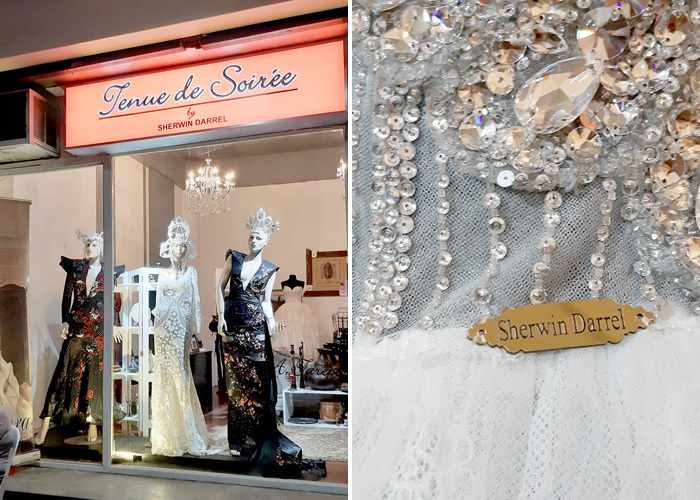 After the strict imposition of work permits for aliens of the government of Saudi Arabia, Sherwin decided to come home and open his own shop, Tenue de Soiree, it’s a French term meaning formal evening gowns or dress. 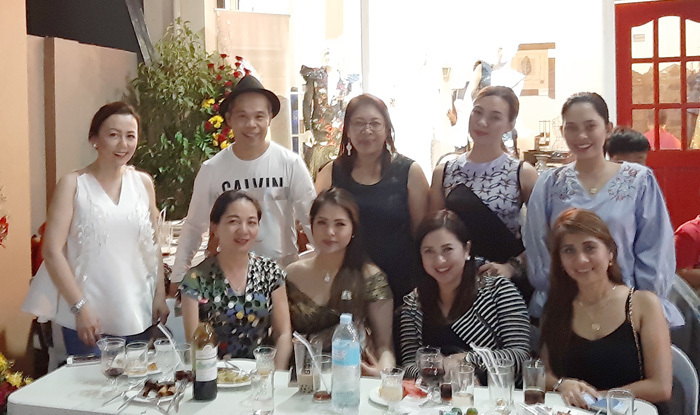 The event was graced by his parents, relatives, and friends namely; Bergette and Christoper Llanes, Alice Fong, Debbie Tan-Hao, fellow designers Dodjie Batu, Joao Tarepe among others who were treated to dinner and good company.